If you love PBS, you will certainly want to join us at the Strand to celebrate William Shakespeare on the occasion of the 400 anniversary of his death. 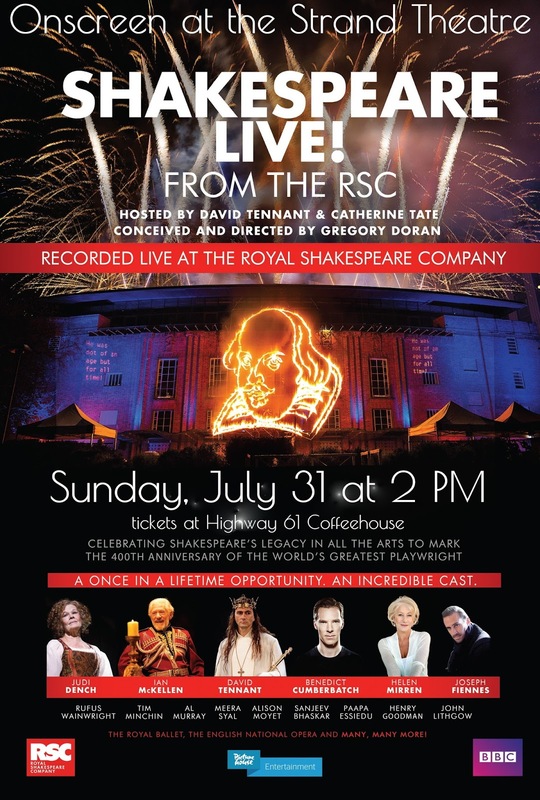 Hosted by David Tennant on Shakespeare’s birthday, and screened live from Stratford-upon-Avon, this star-studded show celebrates Shakespeare’s plays and their enduring influence on music, dance, opera, musical theatre and comedy. 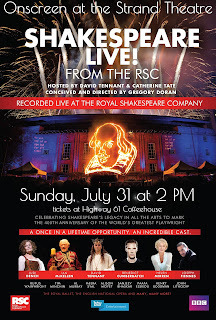 RSC Artistic Director, Gregory Doran, has assembled a once-in-a-lifetime cast to perform in a unique tribute to the genius and influence of the world’s greatest playwright and storyteller. It includes: Dame Judi Dench, Sir Ian McKellen, Joseph Fiennes, Meera Syal, Sanjeev Bhaskar, Al Murray, Alison Moyet, Noma Dumezweni, Ian Bostridge, Rufus Wainwright, Tim Minchin, Paapa Essiedu, Pippa Nixon, Alexandra Gilbreath, Akala (Hip Hop Shakespeare), The Royal Ballet, English National Opera, The Orchestra Of The Swan and Birmingham Royal Ballet! $10 advance tickets available at Highway 61 Coffeehouse. $12 at the door.